What Hi-Fi? 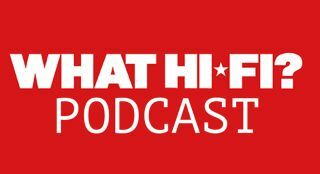 Podcast: Sonos Beam, Denon and Marantz receivers, and the World Cup | What Hi-Fi? We talk about a new Siri and Alexa-enabled soundbar, some new receivers, amplifiers and turntables, and how to get the best picture and sound for your World Cup experience. This episode, host Simon Lucas talks with News Editor Becky Roberts, Brand Development Editor Joe Cox and Staff Writer (and humble podcast producer) Adam Smith about Sonos' new soundbar, the Beam - which has every chance of being better than a musical shelf. We also discuss speaking to Giles Martin, Sonos' sound experience leader, about the future of formats from the multiroom speaker company. For round two, we take a look at the newest receivers (with 3D sound and AirPlay 2 compatibility) to come out of Sound United’s annual European Dealers Conference, as well as the limited edition KI Ruby SACD/CD player and integrated amp and some new turntables from Denon. Finally, we tackle the World Cup. For the best World Cup TV and home cinema systems (and deals to help you secure a bargain), all the advice you need to set them up or even how to get it on the BBC iPlayer in Ultra HD or virtual reality, we've got everything you need to know. And when you're not watching, you should be listening to our World Cup playlist - 32 tracks, one from each of the contending countries. The What Hi-Fi? Podcast is available on Apple Podcasts and iTunes, SoundCloud, or wherever you get your podcasts. Subscribe, listen, and leave a review!